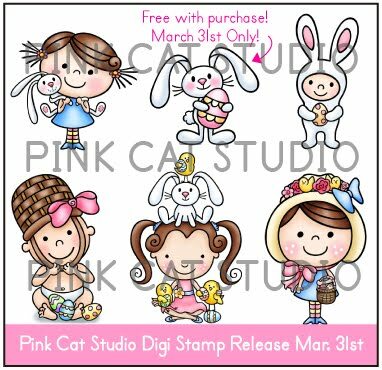 Pink Cat Studio- New Release!!! I'll spare you from all the details...in short my mom is very sick ( she is with me now) and I had no internet connection in our new appartment. 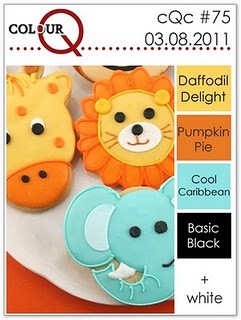 Cute, cute, super cute Easter digis!!! 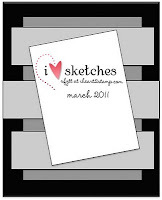 If you make a purchase in the digi store today you will receive the "Bunny Hugging Egg" digi stamp for free! I just got a chance to test my new printer....and whipped up a quick card ! I used the lovely My Mind's Eye~ Stella & Rose- Gertie paper collection...love these papers. The sentiment is a 3D sticker. Digital Tuesday : For the Kids . Make sure to stop by PCS blog to check out the fabulous DT creations....you're gonna love them!! Make sure to stop by again tomorrow for Claudia & co. digi release. Did I mention it that I grabbed all the MME new released papers from Claudia and Co. before I left ....so I've all the Stella & Rose, Gooday Sunshine and Lush papers and few MME stamps with me. 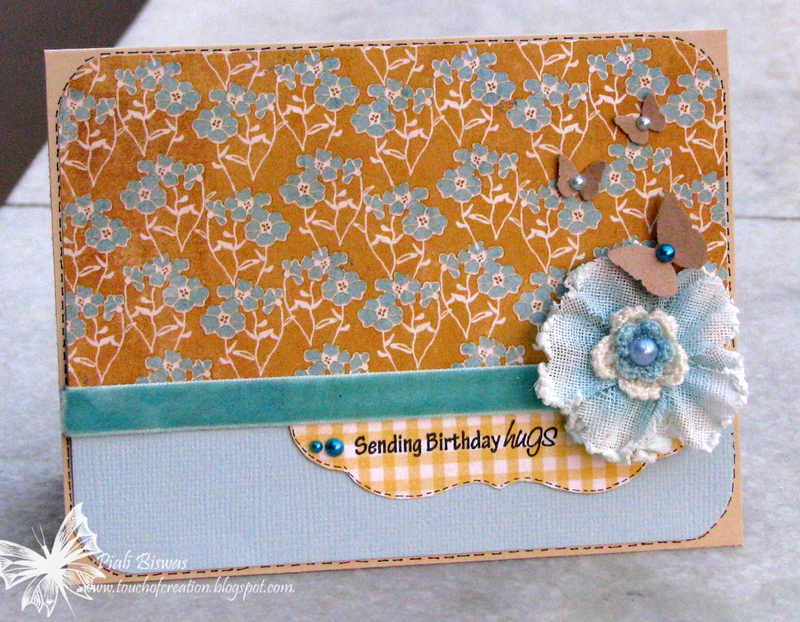 A Simple card using MME~ Stella & Rose ~ Hattie paper collection...really love the blue, yellow & grey combo. 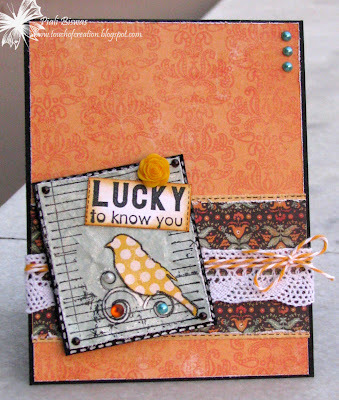 The sentiment is one of favorite one from Claudia & co. ~ So Random Stamp set. 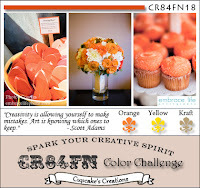 Color Throwdown : Color combo. Aud Sentiments Challenge: Birthday card, gift packaging or gifts . 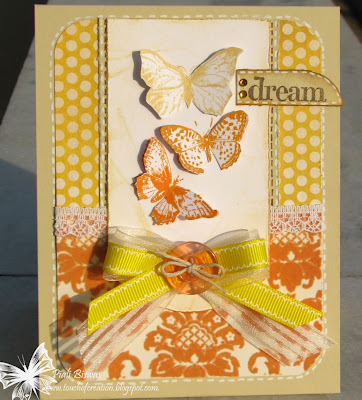 Samuel Taylor's Challenge : Butterflies. Next card is with the Unity Feb KOM....its full of lovely images & sentiments. I used Stella & Rose~Mabel paper collection for this card. 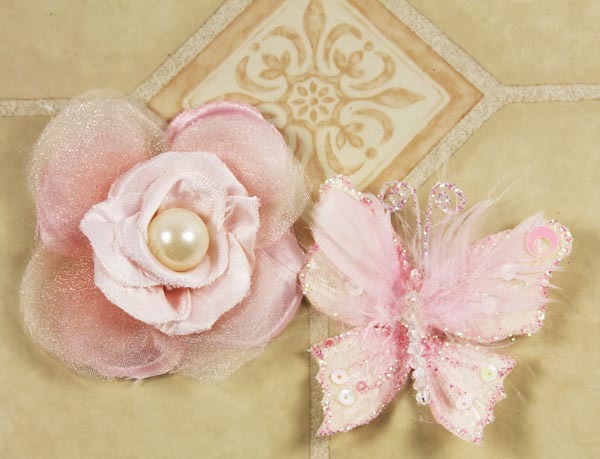 I added the new Prima Cabachon Collection plastic flower and some gorgeous pearls from Pizzazz Aplenty. Stampavie and More : birds. 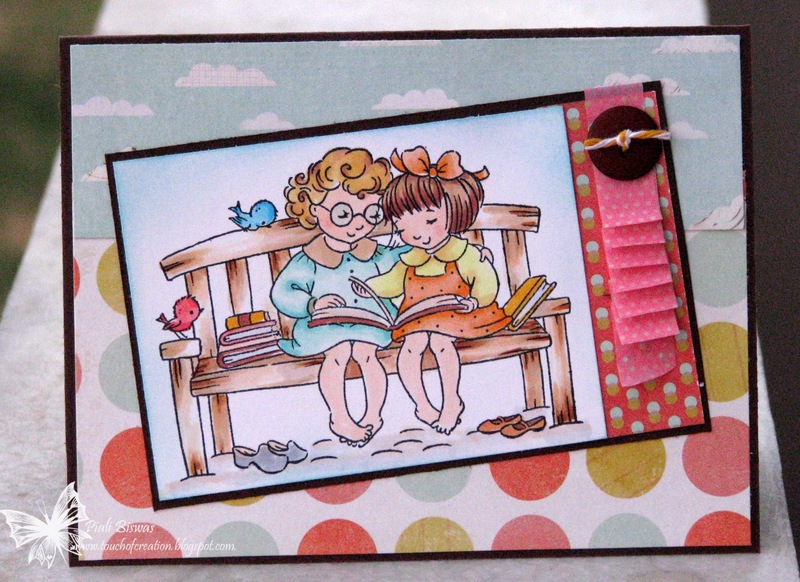 Now the last one is very cute and another favorite of mine..
A lovely image by Stampavie called STORYBOOK FRIENDS...its like my two girls. 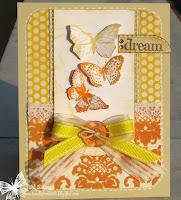 I used MME~ Gooday sunshine Girl papers . Rainbow Lady's : Best Friends . Cupcake Craft : Pink polka dots . KB Cute monday : use pink. Pink Cat Sudio- St. Patty's Day Digi release!! 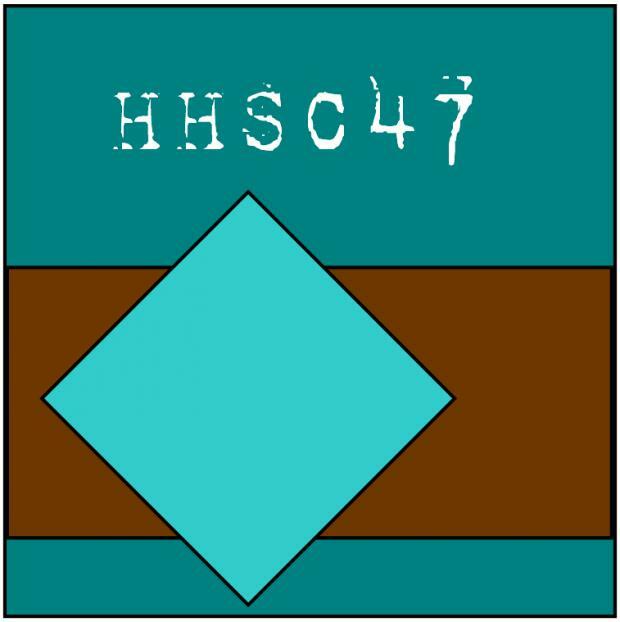 Its time for another fabulous Digi Release from PINK CAT STUDIO!!! I'm so sad that I didn't get a chance to create something with these cute digis...as I don't have my printer with me...BOO!HOO! 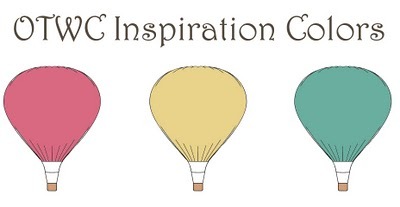 But you can see all the fabulous DT creations over at PCS Blog.. These digis are now in the PCS store and there is a great deal on a Value Pack if you want to buy the whole set. 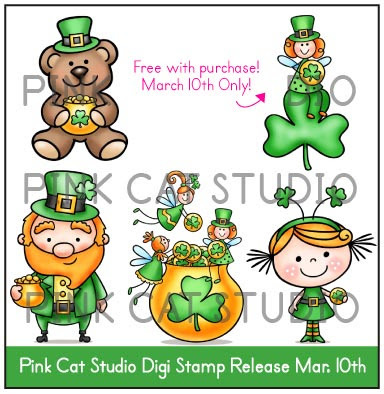 If you make a purchase in the digi store today you will receive the "Pixie on Shamrock" digi stamp for free! 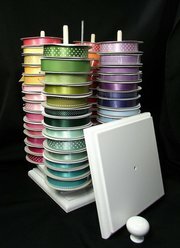 Check out the Awesome Ribbon storage!!!!!! I love the fact it is a desktop storage ..I don't have drill a hole on the wall and I can take it anywhere with me( as you all know after this reccent move I only think moveable units are best for me). 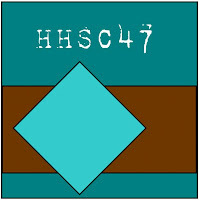 You can check their Facebook page ....HERE. Happy Tuesday!! Its time for the Claudia and Company bi-weekly challenge!!! 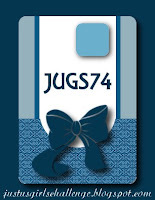 I don't have my sewing machine with me ...its still on the ship so I used faux stitching for my card. 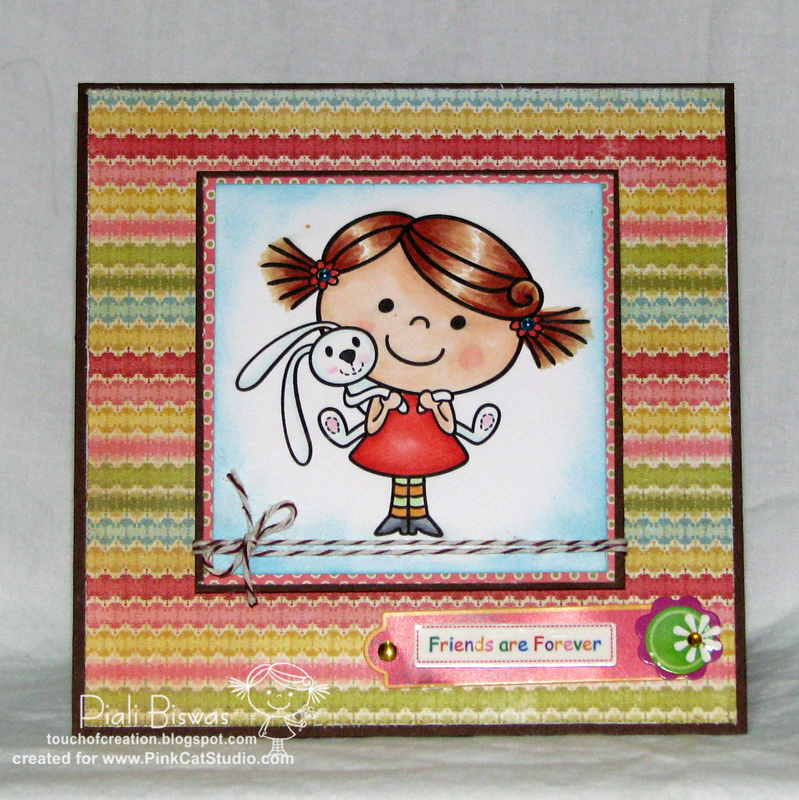 Pixie Dust Studio: seeing polka dots . Did I mention that Claudia has a fabulous prize for one lucky participant???? I love that butterfly...I wish I won it....but you've a chance so create something with this recipe and enter it HERE. Finally got some of my new crafty goodies out the baggage ....a little crafty time at the Guest House!! 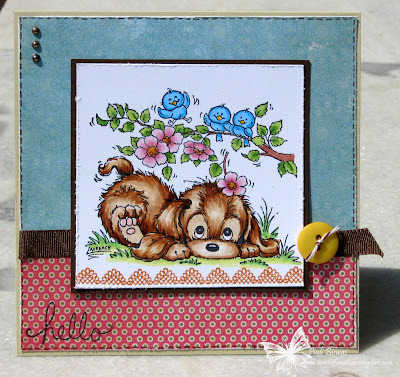 I love this Stampavie image...this reminds me of my dog TOBY....we couldn't bring him with us. Really miss him!!!! I used some new My Mind's Eye~Stella & Rose -Gertie Collection for this card. Thanks to Claudia...she got the MME new releases so fast I was able to get them all before I left!!! Stampin' Sisters in Christ: use a Stamped Flower . 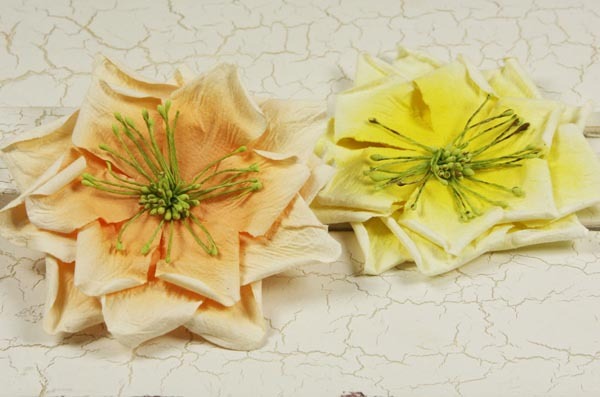 Craft Us Crazy :anything that reminds you of nature . Next up is another cute one!! 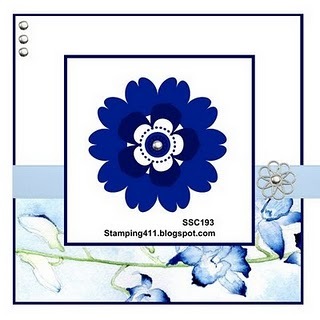 I used the new Penny Black stamp...cuuuuuuuuuuute!!!! Pile It On: Up,Up & away!!! Crafty Ann's - birthday card . Fairy Tale : something for a child or with a child's image . Floweret - play/kids birthday . 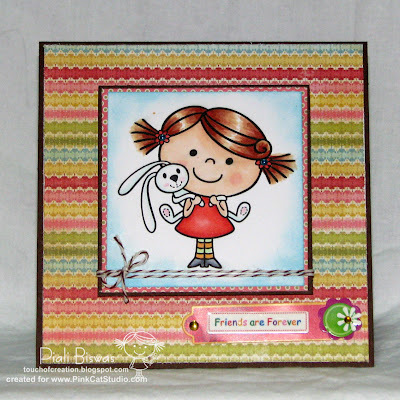 Art Impressions Stamps Challenge - funny cards . 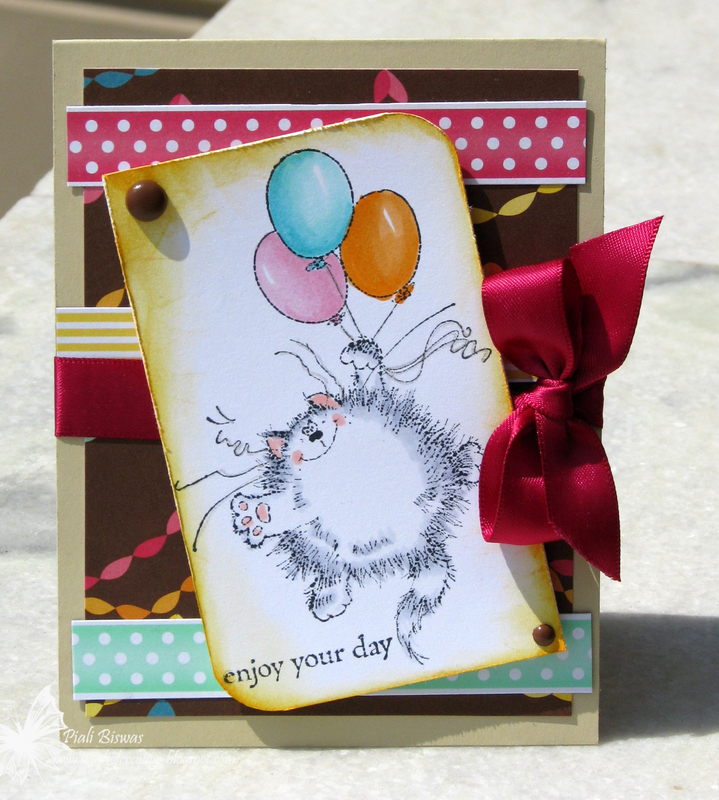 Meljens Designs : include an animal . Sisterhood of Crafters : ribbon and brads . Bearly Mine: Birthday card . 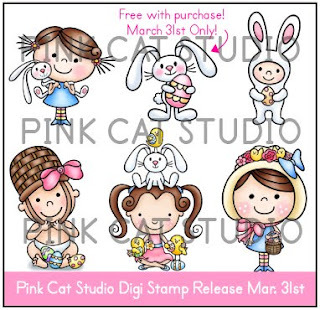 PINK CAT STUDIO Stamp release!!!! Melissa has designed 3 new Rubber Stamp sets....check out PCS Blog for all the deets..
Click HERE to shop for these new cute goodies!!! Sorry for MIA.... its been a longtime now....Feb was super busy month for me. Lots of things changed in our life last month!! Long story in short my Hubby got transferred to INDIA for 2 years..
we got only 3 weeks time to pack our 11 years of life( in USA).... it was a crazytime,very tiring and chaotic but finally we managed to complete the transition and we're in INDIA now!! Still searching for an apartment...hope to find it very soon. I packed as much craft supplies possible as we hardly get any latest products in INDIA and I plan to craft a lot in our new home. so here is a goodbye candy!! 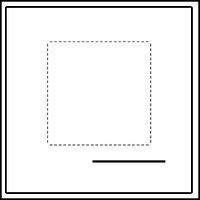 50- 6x6 sheets of designer papers. 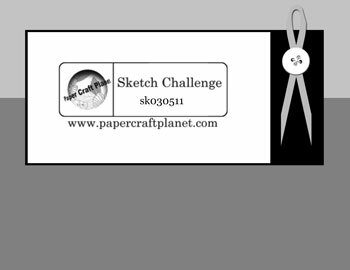 a bundle of various card stock,vellum and some designer papers. 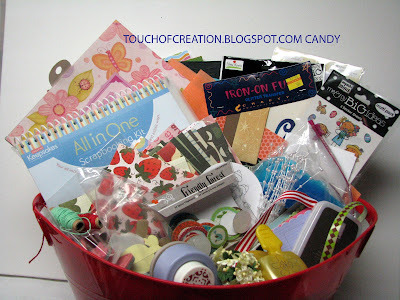 I left the a box packed with these goodies with my friend....she mail it on my behalf. So its a candy for my lovely readers!! I will pick a winner on March 11th and mail the goodies !!! Thanks for visiting my blog...I really appreciate all your love and support, please keep on visiting me .